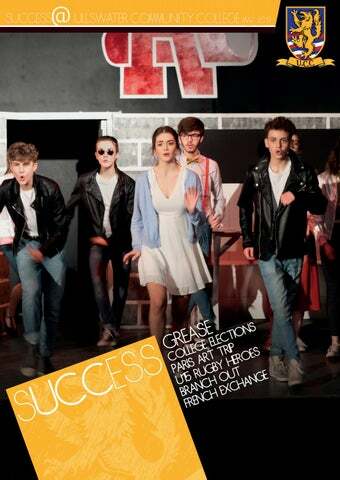 HEADTEACHER ’ S WELCOME Welcome to the Spring Edition of our sUCCess magazine. I thought it would be hard to match the last edition, which was packed with articles about a busy autumn term, but this edition is again full of reports of the wealth of tremendous opportunities at UCC. As we brush ourselves down after the unprecedented disruption wrought by the ‘Beast from the East’, if this last week is a brief snapshot of ‘life at UCC’ then I’m not at all surprised that the LRC team struggles to fit all of the articles and images into one edition. As an example, in just one week at UCC: Sixth Form and Year 11 students completed their final mock exams and started attending intervention and revision sessions, with a busy Easter revision school planned for the weeks ahead; the highly successful Branch Out programme has seen visits from Orlando Weeks and the Bookshop Band; sports teams have featured in many district and county finals, including the Year 9 and 11 County Rugby Finals at PRUFC, where both teams carried off silverware; dancers from Years 7 to 13 showed off their tremendous talents in our annual dance show; Year 9 Scientists visited Newcastle University; Year 10 artists visited the North Yorkshire Sculpture Park… and I could go on! RUQuattro Parrom-up jacQkeuattro pUre14 rugbym. stud Prim y aske en a d boun ry Scho to help ts were o The dary wa l to rep Lazonby a stud ents ll which ir their and h w q dry uickly g ere ke e ad colla ston o e wa t to wo n to he psed. Sue lp r ll Mal linso ing skills k putting out n to g o od their use. @Laz Wha onbySch o from t an ama ol Feb 2 U z drys CC ar ing job 6 e do tone the s in work w t . You all. Tha g rebuild udents nk y â&#x20AC;&#x2122;re a i n ll sup ou fo g our r you ersta r rs. stud en esta ts spen ta te erta manag day w ke a o er o varie f Patt rking rked er ty al sk hard, ga of grou dale Ha ills a l long ining exp ndworks l, side . erie nc profe ssion e and als. F EEstudentsonaed their swkalking stiimone they ion O Dronze D ofere they hstances andof the seseir expeditrds. 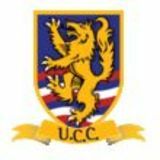 Ullswater Community Collegeâ&#x20AC;&#x2122;s Under 15 Boyâ&#x20AC;&#x2122;s Rugby Team streak in the NatWest Vase Schools National Cup, which too They managed to win the North A region with a victory over Ha school 38-5. Unfortunately this cup run came to an end after they Academy, Solihull. COUCC’shge CountystGics Club. TGh old andteAam achieGv old. , UCC o t e the and to be e ased a, whos m Cine Day ift ize P Pr urys G this b d rt d Ca take pa nd a o e wh at read Mare e r g e la pa iss d M for!